1.2m Single Width Scaffold Tower. From £41.60 Per Week. For both the commercial and domestic user the Boss Single Width Scaffold Tower is most widely used and respected scaffold tower in the UK. Our 1.2m Single Width Scaffold Tower is great for internal work. Narrow enough to have access to work around. 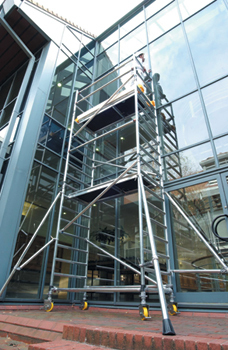 With this scaffold tower at this size you won’t need stabilisers again making it perfect for inside work.